Holidays bring us together and 2016 was no different. 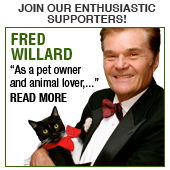 As 2016 was our 45th Anniversary of working on behalf of pet guardians and their pets, we were honored to have the opportunity to celebrate many individuals who have worked tirelessly through the years to bring attention to our cause. Our Board President, JoAnne Worley, hosted the celebration and a highlight was the video screen with the attendee’s beloved pet photos shown throughout the day. 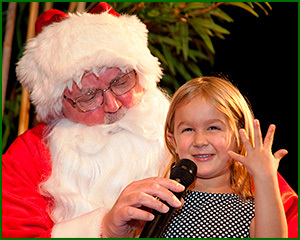 We could not start the festivities without a visit from Santa Claus who presented six year old Wrigley Rose Tully with her own Animal Protector Badge. 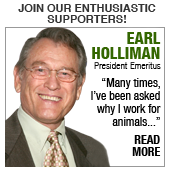 What better way to begin the morning then celebrating the next generation and future animal advocates! 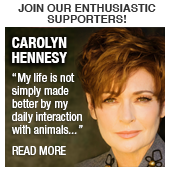 We know that children growing up with humane ethics will continue to protect and care for animals. 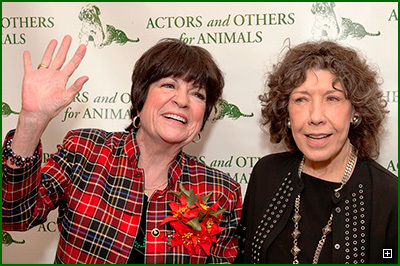 Loretta Swit received the BETTY WHITE INSPIRATIONAL AWARD for her tireless efforts and passion for helping animals in need and her commitment to making a better world for both animals and people alike. Her good friend, Jamie Farr (who was joined by Mike Farrell) presented this special recognition award. 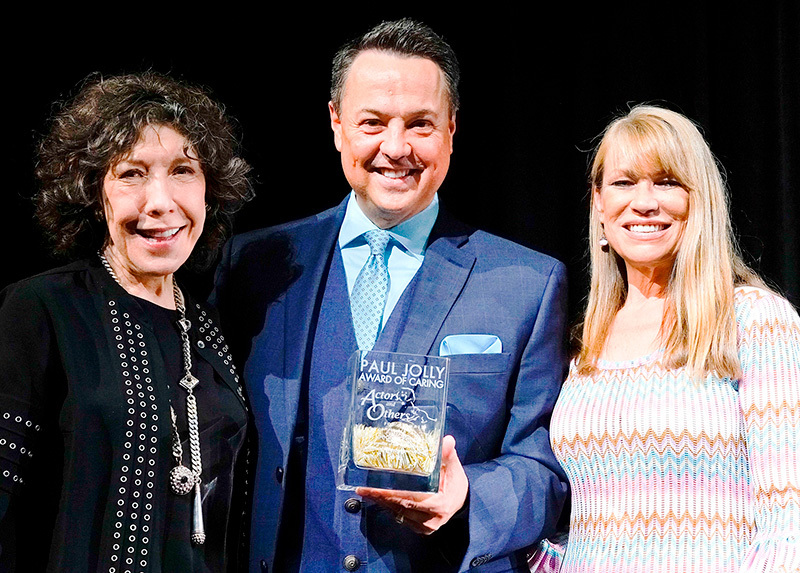 Board member and animal advocate, Lily Tomlin, presented George and Erin Pennacchio as well as Peter and Laurie Marshall with the PAUL JOLLY AWARD OF CARING. 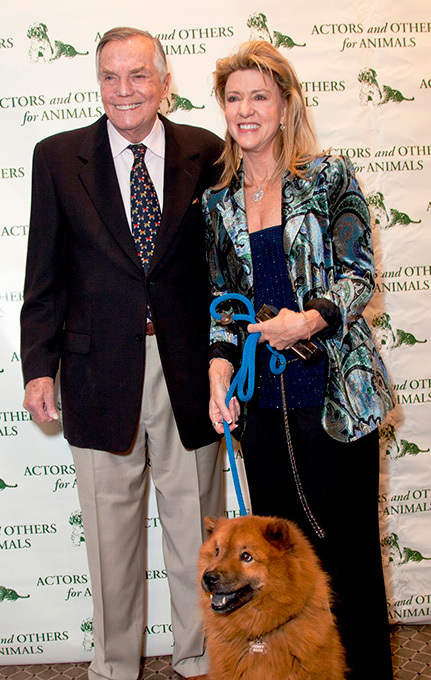 Paul was an important part of Actors and Others for over 25 years on top of his huge responsibility as the first Executive Director of the Petco Foundation. 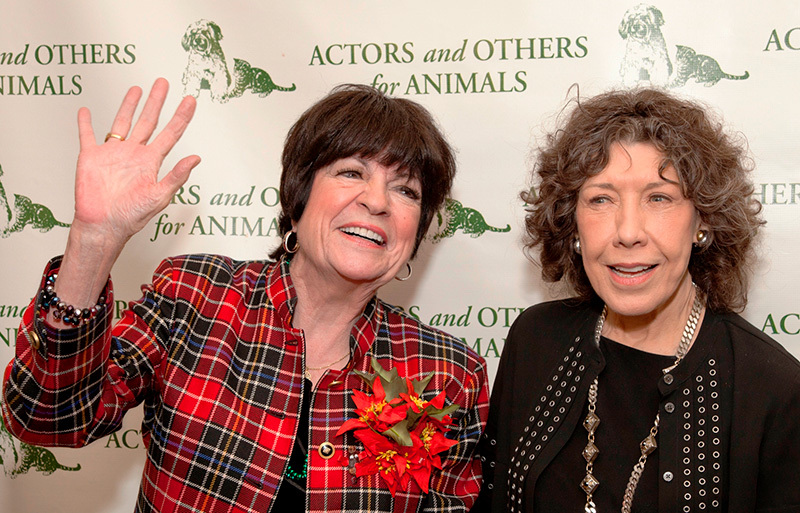 These awards are a reminder to each of us that no matter who we are or what we do for ‘work’ in our lives, we can make a difference for the animals along the way. 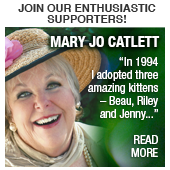 Entertainment was top of the list in celebrating our 45 years helping pets and people. 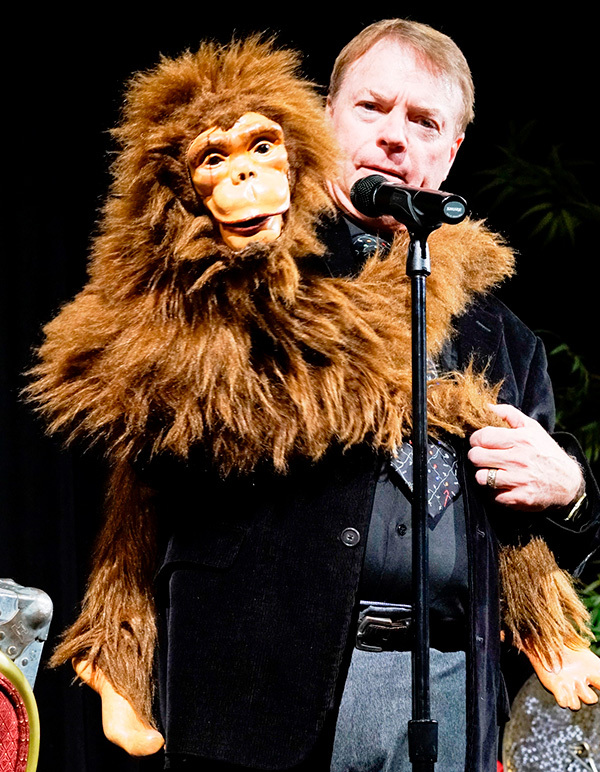 Tony award winning ventriloquist Jay Johnson and his sidekick, Darwin the Monkey brought laughter and joyful howling to the audience. 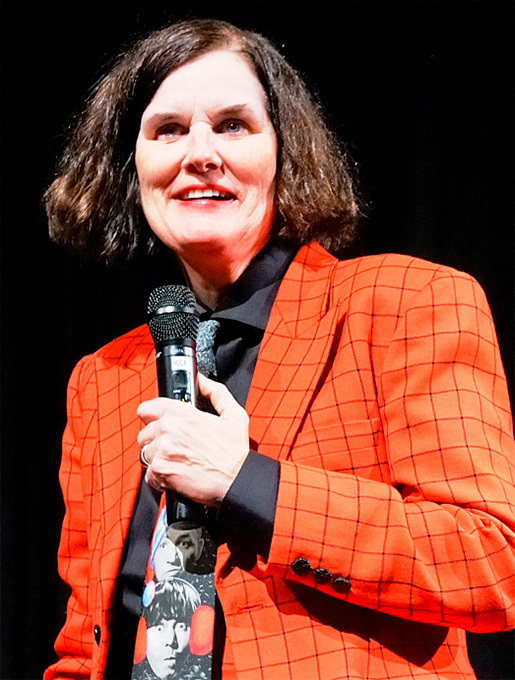 Paula Poundstone, long time supporter of Actors and Others, sharpened her wit with playful interaction with the audience members. 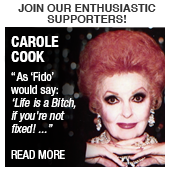 Whether talking about her many cats or zapping the audience members with questions, it was a non-stop roller coaster ride of laughter. 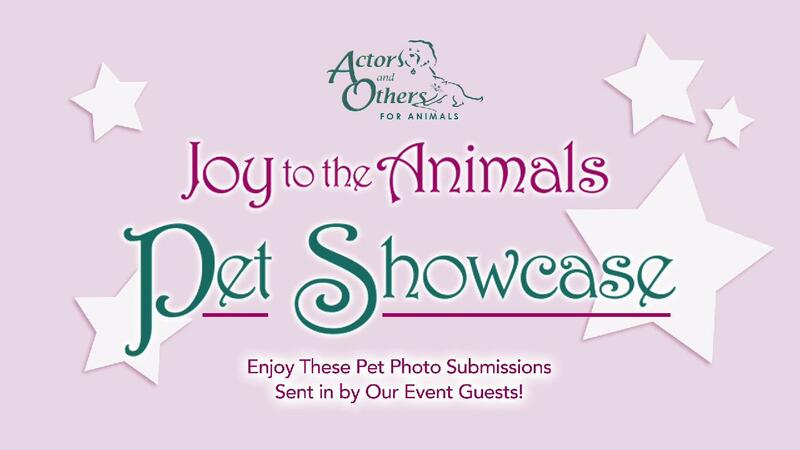 Actors and Others for Animals is thankful for the nearly 350 attendees and the many incredible sponsors who made this celebration of joy possible. 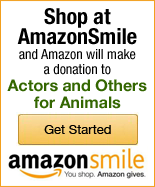 Thanks to our Silver Paws Sponsors: the Petco Foundation, D.E.L.T.A. Rescue, Sherry and Skip Miller and Carolyn and John Yurtchuk; our Top Dog Benefactors Connie Elliot, Jay Aldrich and Bob Dugan, Earl Holliman and the Wells Fargo Foundation.